Good news for all those who have a jailbroken iPhone running iOS 7. 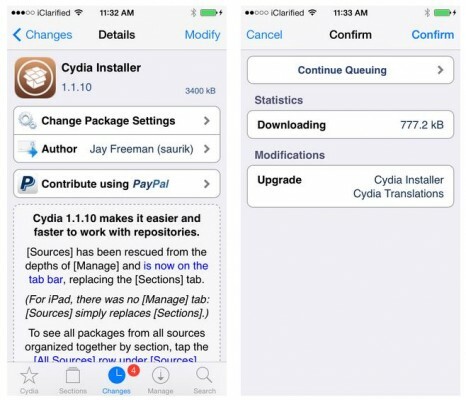 According to the latest rumors, a well-known hacker nicknamed Saurik has just released Cydia 1.1.10. It can boast of a number of important improvements and bug fixes. Saurik has changed the app icon, twaked the user interface, added some new languages and, of course, features. The list of enhancements is available below. 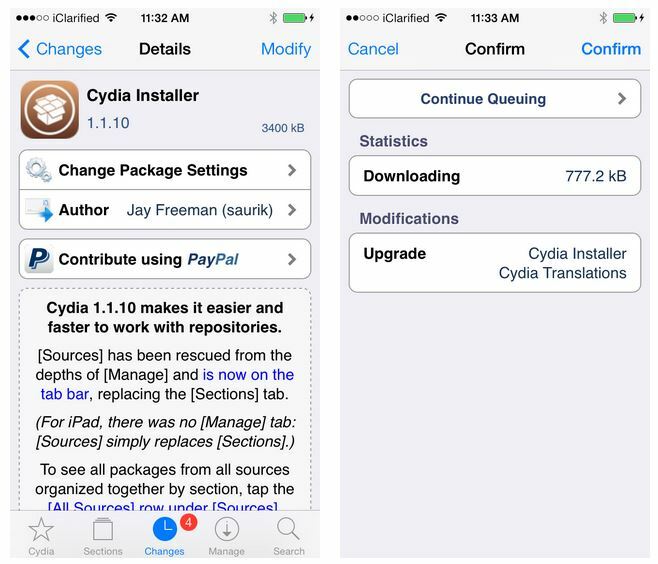 If you have Cydia installed on your device, you may update it right now. Simply open the app, and it will do everything automatically. If you open Cydia and nothing happens, go to Changes tab, tap the Upgrade button and wait for a while.